Beaulieu is well known for its connection with cars. 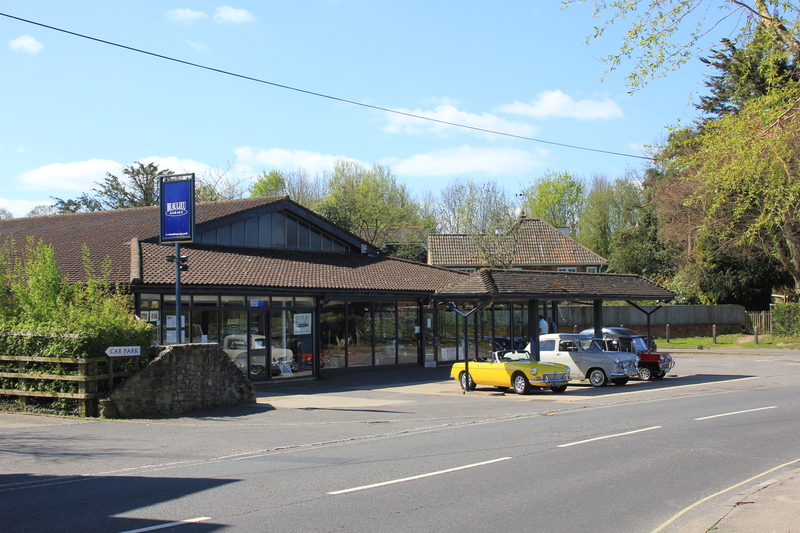 It is home to the world-famous Beaulieu National Motor Museum. I went there as a child. I cannot remember too much about it, except I remember a car shaped like an orange. Literally. It was a giant dimpled piece of fruit with wheels and a windscreen. Our Coastal Path today (which was not very coastal at all – we were four miles inland at this point) would not take us to the museum, but it did take us by a garage. I walked up to the showroom window. There were some very expensive-looking cars inside, but I couldn’t get a good picture due to the glare of the sun. 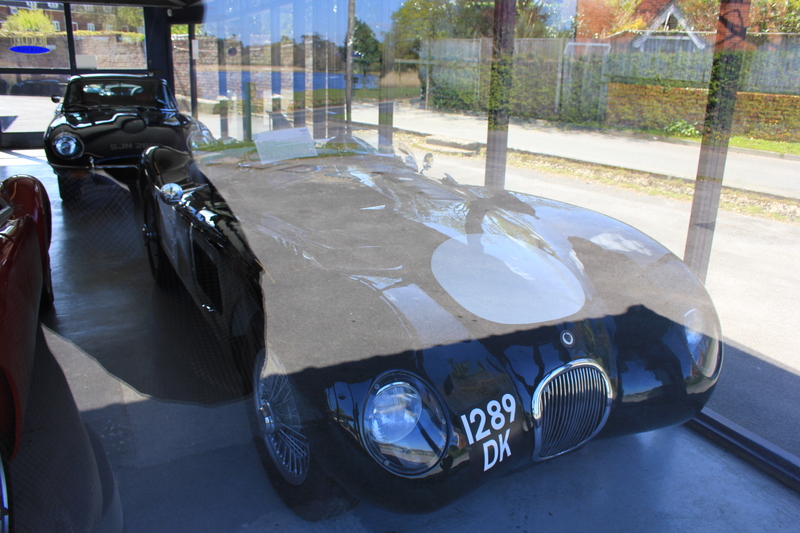 This entry was posted in Hampshire and tagged Beaulieu, cars, classic cars, coast, Hampshire, travel, walking. Bookmark the permalink. Some people are so miserable……. Well I could see their point of view – those cars must be worth into…I dread to think! Their sign actually made me laugh (particularly the bit about backpackers) and I respected their House Rules with a smile on my face. I went to the motor museum a couple of years ago. The orange car is still there. Thank Heavens you didn’t have a massive ‘jailer’s’ bunch of keys hanging off your belt. Even the plate glass might have been at risk. RH ps what model orange was the one you saw as a child – the rare Ghia GT Pininfarina model, I hope? 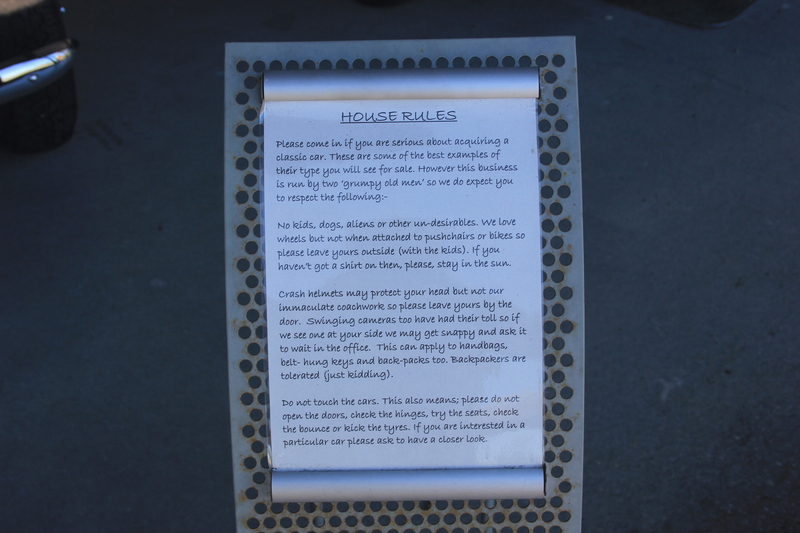 they didn’t bother to read the House Rules?…..